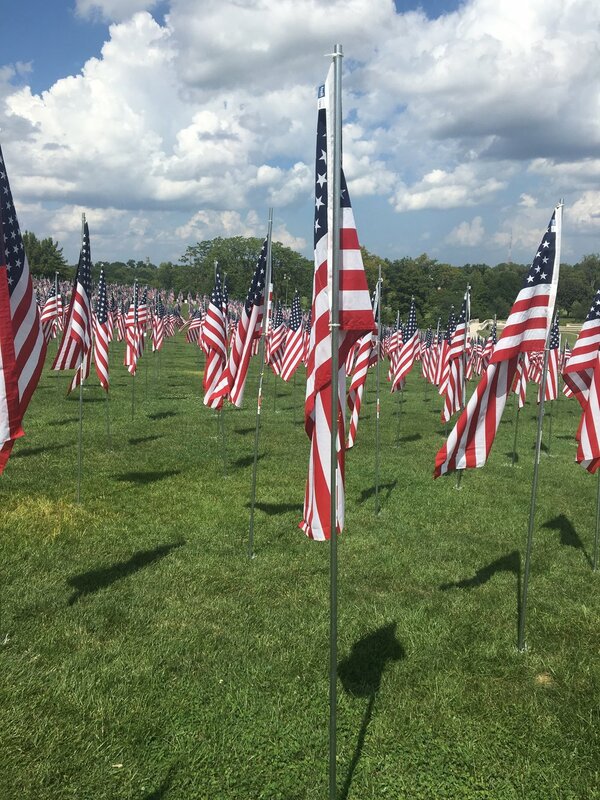 Yesterday I went outside to draw over my lunch break as I usually do, and was greeted by over 7,000 flags on the lawn on Art Hill in Forest Park, There was one flag for each service member killed after 9/11.. It was overwhelming. These are tall 3x5 foot flags, not just the little ones. They each had a photo and dog tag of their soldier. When the wind picked up, the clinking of the dog tags makes the saddest music. Displays like these are always overwhelming. I am keenly aware that my brother's survived their collective 7 tours of duty because of their sacrifice. I am so so so grateful to these men and women.